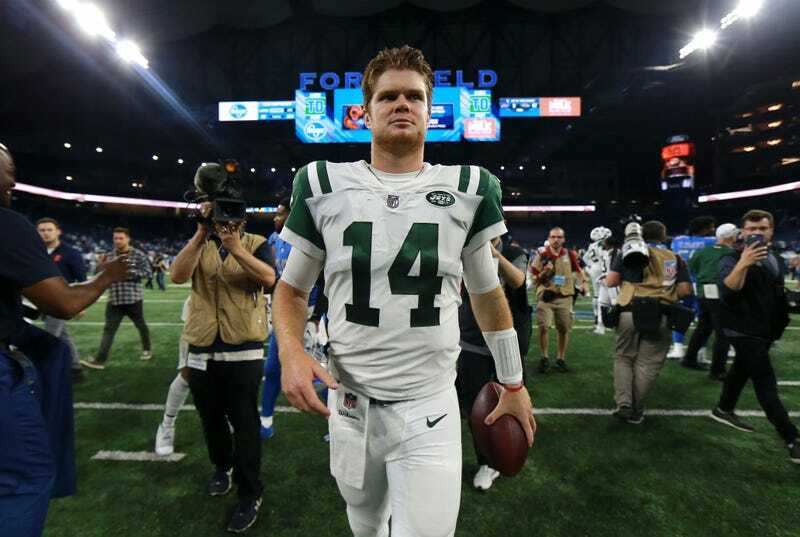 Jets rookie QB Sam Darnold was perfectly okay in his NFL debut last week, a 48-17 Jets win over the Lions more notable for the Jets defense knowing “everything” the Lions were running before they snapped the ball. But Darnold, following a first-ever-pass pick-six, got it together and looked as good as any Jets QB has looked in a decade. He absolutely showed the P-word. 1. It took me way to long to actually figure out the pun. (“What is ‘Sam Milton?’”) It’s a groaner, and not in a good way. A bad-bad pun rather than a bad-good one. I take it back. The cover rules.